Whether you want to earn a degree to move up in military rank or transition to a civilian career, we at Oregon State University Ecampus will work with you to maximize your military education benefits while allowing you to honor your career, family and other life commitments. With the assistance of OSU's military certifying officials, U.S. Army veteran Bryan Zacher enrolls in the fisheries and wildlife program to pursue his dream of working with salmon and steelhead. Following the "Getting Started at OSU" guide will streamline the admissions process for you. The main VA and OSU Forms required for admissions are collected in one place for easy access. 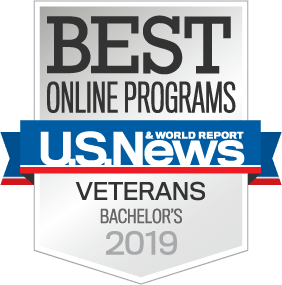 OSU Ecampus delivers more than 55 academic programs and 1,200 courses online, many of which are ideal areas of study for military service members. Oregon State is America’s natural resources university, and more than one-third of our online programs are in related disciplines, including environmental sciences, fisheries and wildlife sciences, sustainable natural resources and agricultural sciences. Whether you're deployed or transferred, you can study from anywhere in the world with an internet connection. Our goal is to help you succeed. That’s why, as an OSU Ecampus student, you’ll have access to vital resources like success coaching, veterans services, library services, free online tutoring and career guidance – making your online learning experience collaborative and rewarding.